The City of Costa Mesa, through the office of Chief Executive Officer Tom Hatch, has issued a press release regarding the death of employee Huy Pham. Several readers have asked about how to donate to Pham's family. This press release includes information on that subject. We offer our thanks to the Costa Mesa Community Foundation for their part. 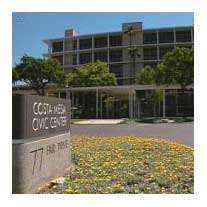 On Thursday, March 17, 2011, the City of Costa Mesa lost a member of its family, Huy Pham, who was a City maintenance worker and employee for 4 ½ years. Mr. Pham was 29 years old and a resident of Fountain Valley. He also attended classes at Orange Coast College. The City has reached out to the Pham family and is making efforts to assist them during this tragic time. The Costa Mesa Community Foundation has established an “Employee Memorial Donation” fund for the Pham family. Individual donations can be made to the fund via mail to Costa Mesa Community Foundation, P.O. Box 10268, Costa Mesa, CA 92627, in care of Huy Pham. This tragedy has affected the entire City of Costa Mesa family. Staff is reaching out to all City employees during this time. Crisis counselors are at City Hall to meet with employees and will be available at City Hall as long as needed. Counselors are also available via phone for employees desiring to talk about the incident away from work. On Monday, March 21, at 3 p.m., the City will be holding an “Employee Only” gathering of remembrance in recognition of Mr. Pham. The gathering will be held on the east side of City Hall which will include the observance of a moment of silence. This weekend will certainly be one of contemplation for all city employees and many of the residents of this city concerned about this tragedy and what it represents to us all. We here at A Bubbling Cauldron offer our sincere condolences to Huy Pham's family, his friends and co-workers at the City of Costa Mesa and to all of you who have been touched by this tragedy. Tonight at 7:00 there will be a candleight vigil held at the East entrance. All are welcome . The carpetbagger was from Fountain Valley and Huy Pham was from Fountain Valley. Did they know each other? Am I wrong to dislike the fact that employees are now being refereed to as "the Costa Mesa Family"? I have never disliked Hatch, but this leaves a bad taste in my mouth after the way we have been treated during the past few months. Mensinger calls us "Parasites", Righeimer refers to us a "trough feeders". Monahan was too busy pounding green beer in a leprechaun outfit to worry about a "family member" who committed suicide and Hatch made no objection when over 200 pink slips were issued before the city had the information needed to make an educated decision. If this is my family, I'm beginning to feel like a abused child. I do feel I have family at Costa Mesa, but they are not part of it! It's tragic for the lost of one's life. This is a wake up call for the city over the decision made on its employee. Pink slip is a death sentence to some. A life without a job is equally death to Mr. Huy Pham in this case. My prayers to his family during this difficult time.